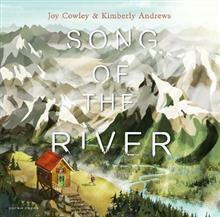 In this quintessential Joy Cowley story, Cam follows the river's journey from its source in the mountains all the way to the sea In this resonant story from Joy Cowley, Cam the mountain boy follows the river from its trickling source in the snow all the way to the sea. The river ... read full description below. Joy Cowley is one of New Zealand's best-loved writers for children and adults, with an international reputation. She has won a multitude of awards and honours for her bestselling books, including the Prime Ministers Award for contribution to literature. She was shortlisted for the Hans Christian Andersen Award in 2018. Kimberly Andrews is a trained biologist and geologist who grew up in the Canadian Rockies and has lived and worked in Borneo, the UK and New Zealand. She illustrated Explore Aotearoa, shortlisted for the New Zealand children's book award in 2018, and her first book both authored and illustrated, Puffin the Architect, was released in 2018. She lives in Wellington.